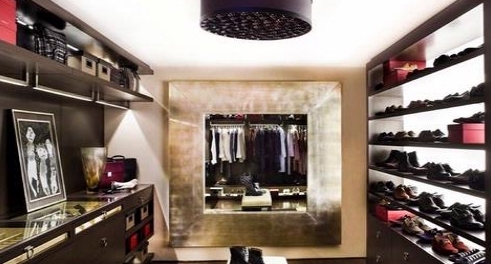 you do not need to do complicated thing to set the contents of your wardrobe at home. You can start from simple things like rearrange the contents of your wardrobe. Remove the entire contents of your wardrobe and sorting clothes. After that, gather in groups, either to re-store clothing, needs improvement, donated, or discarded. Professional wardrobe designer, Lisa Adams, suggest that you are more disciplined and avoid storing clothes that you can no longer wear. According to her, you need to include a permanent box “donations” in your wardrobe. When it was no longer needed, you can immediately put the clothes in the box it. When the wardrobe is empty, try to weigh what is needed. If necessary, immediately purchase additional cabinets. Do not leave your clothes piled up. 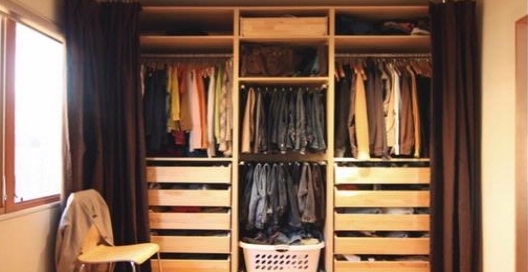 Organize clothes by type, color, and make sure you set it up from the brightest to the darkest color. With good lighting, you can clearly see the appearance. The colors and textures you wear can be seen clearly enough with you. In addition, good lighting also makes it easier to find clothing, accessories, shoes, and bags. If you do not have it, you can add a mirror to show your entire body. Supported by good lighting, you can evaluate your self before go out from home. If you have a walk-in-closet, you should consider adding carpet in it. You could hang inspirational artwork or other items that can inspire you in matters of fashion. Dont forget, provide fashion books and magazines in the walk-in-closet. When you do not have a walk-in-closet, you can still put books and magazines in a location close to your wardrobe. You can add a wallpaper or paint with different colors. When taking clothes, you’ll see these exciting colors and add your spirit. You’ll want to provide a special place for your accessories such as scarves, belts, or socks. Placing these items in the basket-shaped uniform can be attractive accents in your wardrobe. Lastly, you can add a special container to store your jewelry. You can use items already owned before, such as small plates, bowls, and cups to help organize your jewelry in a drawer. Beautiful decorative plates and trays can also be used to set the perfume and other beauty products.